For adventurers who are tempted to duck ski resort boundaries to make tracks in the fresh powder. These words are a plea for you to educate yourself and to think twice before skirting the orange tapes, fences, and barriers. 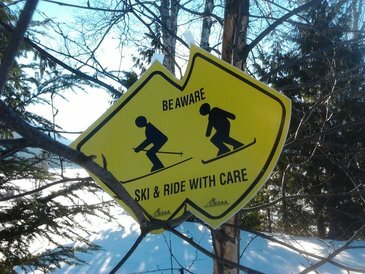 Locals are always saddened to hear of the annual, and avoidable, ski hill tragedies that result from out-of-bounds excursions.